As the UK continues its slow recovery from the recession, key economic indicators are moving in the right direction, from wages to business lending. There are even signs that UK productivity might at last be on the rise. One area that shows no sign of improving, however, is late payment and bad debt. In the latest SME Confidence Tracker Report from Bibby Financial Services, one in four businesses said that they suffered from bad debt. In a survey of its members conducted by the Institute of Directors (IoD) in December 2014, 66% said they had experienced late payment of an invoice. Around half of the 1,000 business surveyed said they have to wait more than 30 days for payment, with some having to wait more than 100. In a survey of its members conducted by the Institute of Directors (IoD) in December 2014, 66% said they had experienced late payment of an invoice. Nearly half (47%) said the main reasons for late payment were excessively bureaucratic payment systems or overly complex terms and conditions. Late payment has a big impact that ripples through the economy. Half of IoD members who had experience of late payment said it had forced them to change business decisions; 13% were unable to grow their business as planned; and 10% had to re-organise their financing arrangements. More than one quarter (28%) said that late payment had forced them to delay payment to their suppliers. Tackling late payment should be a priority for any business. One of the key measures in this struggle is day sales outstanding (DSO), the average length of time it takes a business to collect its accounts receivable. The higher the DSO, the greater the cost to a business. Consider the example of a company with an annual turnover of £20 million and a business borrowing interest rate of 3%. If it has a DSO of 70 days, its total cost of borrowing for the financial year will be £115,0681. Reducing the DSO by 15 days would provide an interest saving of approximately £15,000. So what can businesses, or more specifically the credit control and accounts receivable departments, do to minimise late payment? One solution is e-invoicing, defined by the European Commission as “the electronic transfer of invoicing information (billing and payment) between business partners (supplier and buyer)” that “links the internal processes of enterprises to the payment system”. In its 2015 report, E-Invoicing, E-Billing, Billentis estimates that the worldwide take-up of e-invoicing is growing at about 20% per annum and that in 2015 a little over 8% of invoices issued globally will be paperless. Penetration is highest in the Nordics, with an adoption rate of 40%, but e-invoicing is also growing strongly in other parts of Europe, where its use in business-to-business and business-to-Government transactions now stands at 15-40%. Today, much of the impetus for e-invoicing comes from the buyer, largely because accounts payable departments like to receive invoices electronically to enable the full automation and processing of invoices for payment. However, e-invoicing has benefits for credit control and accounts receivable departments, too. In addition to tangible factors, such as hard savings on print and postage Neopost programme director Bren Standell explains how e-billing can help accounts receivable reduce the time to payment The benefits of e-billing costs, and intangibles, like faster dispute resolution, e-billing can reduce the problem of bad debt and late payment. At Neopost, we have found that utilising e-billing for the order-to-cash process and removing as much paper as possible within our billing and credit collection function has reduced tangible operating expenses by more than £150,000 per annum. On top of that, it has enabled us to cut our DSO to below 50 days and to reduce the number of invoice query calls to our contact centre. A recent survey showed that our adoption of e-billing has also helped our customers process invoices more efficiently within their own accounts payable function. E-billing helps accounts receivable achieve these results mainly through faster delivery of invoices and improved query resolution. A sale is not a sale until it is paid for, so the faster you are able to generate and submit an invoice the better. This is where replacing traditional paper-based processes with e-billing offers real benefits. Revisiting our £20 million business, let’s assume that it operates within the B2B market and has an average order value of £200. Each day it processes 274 invoices (not including credit notes, statements, dunning letters etc. ), with a combined value of £54,800. With paper-based systems, it could easily take 15 days for an invoice created by this company to be entered into a customer’s accounts payable system – 3 days to generate the invoice; 1 day for it to be printed; 3 days for delivery by second class post; 5 days for invoice query and resolution; and 3 days processing in accounts payable. Additional savings are likely to come from a reduction in time spent resolving customer queries. 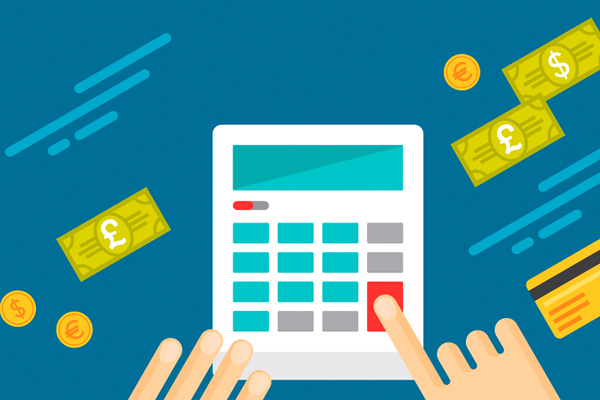 It has been suggested that up to 40% of all business invoices are queried and that the time spent resolving each one to enable payment and to balance the ledger adds an extra £10 in costs. In our example, this could amount to £1,096 per day (40% of 274 invoices x £10). The cost and delay are even greater when a credit note is required to offset an element of the debt. Businesses that rely on paper-based invoice processes will inevitably spend more time dealing with customer queries. A 2014 survey conducted by Opinionway for Neopost highlights the inefficiencies of paper-based invoice processes in UK businesses. Almost half (47%) complained that they wasted time on repetitive tasks; 45% admitted their processes were prone to human error; and 37% said they wasted time having to re-enter data several times throughout a process. Moreover, one third said they had difficulty finding and retrieving past communications with a customer, making problem resolution more difficult. 1. Offer choice. Give customers a choice in how they receive an invoice. Some will like the immediacy of a PDF in an attachment, while others might prefer documents to be grouped and batched on a portal. Maximum adoption is achieved by offering customer choice and not losing a potential e-invoice adopter. 2. Provide a custom subject line. An email inbox can be inundated with messages of varying importance – critical, trivial, relevant and spam. Accounts payable departments will want to prescribe the subject matter line. Doing so will also help your invoices be processed for payment quicker. 3. Consolidate multiple communications. Instead of bombarding customers with multiple email messages, consolidate them into a single communication. You could provide a single PDF of multiple documents or individual PDFs per document. Offer both, because the more diverse and nuanced the approach, the better the chance of customer adoption. 4. Incentivise the customer. Asking a customer to accept electronic invoices and statements can elicit the response of ‘what’s in it for me?’. You can do one of two things – incentivise or levy a surcharge for paper. The best results come from incentivising the customer by providing a service that is more convenient than paperbased processes. 5. Move to data. Printed invoices are usually typed back into computer and accounts payable systems. This is labour-intensive, time-consuming, inefficient and error prone. Accounts payable departments want to automate and digitise the process and are increasingly asking for data formatted invoices.